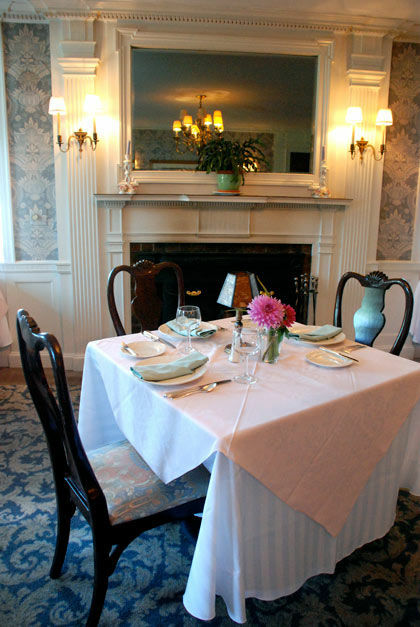 Unhurried dining and conversation in a lovely historical setting reflect the New England tradition for congenial hospitality. Begin your morning with our complimentary breakfast in the breakfast nook or in our sunny courtyard overlooking the renowned gardens. Sunday Brunch and Dinner in the main dining room include our chef’s specialty salads and entrees made with seasonal local ingredients. Candlelight, fine linens, polished silver, and impeccable service are reminiscent of the finest Old World hotels. Served Sunday from 11am to 2 pm.